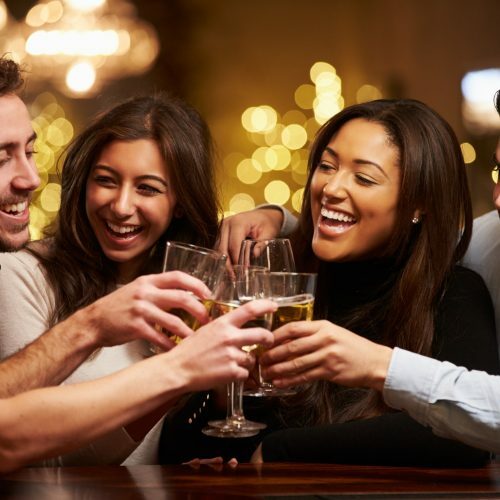 Enjoy Happy Hour at Proof! 3 apps and a bottle of red or white wine or 4 pints of beer for $50! Sign up to receive exclusive offers and event information. Located in UpTown Waterloo’s historic Barrel Yards, Proof Kitchen + Lounge restaurant offers an upscale contemporary dining experience coupled with a menu that reflects a dedication to using thoughtfully chosen ingredients with a local and world conscious initiative – we make good choices. 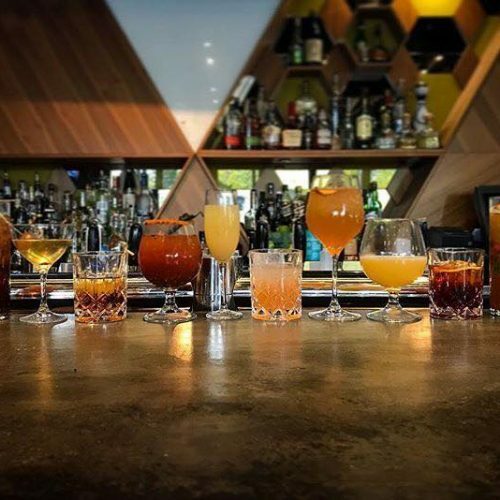 From breakfast, brunch, lunch and dinner to late night to weekends, our menu is complemented by expertly crafted cocktails, a renowned wine list, and a great selection of local craft beers. The setting for all this is a space that will delight the senses and create a perfect backdrop to every occasion. 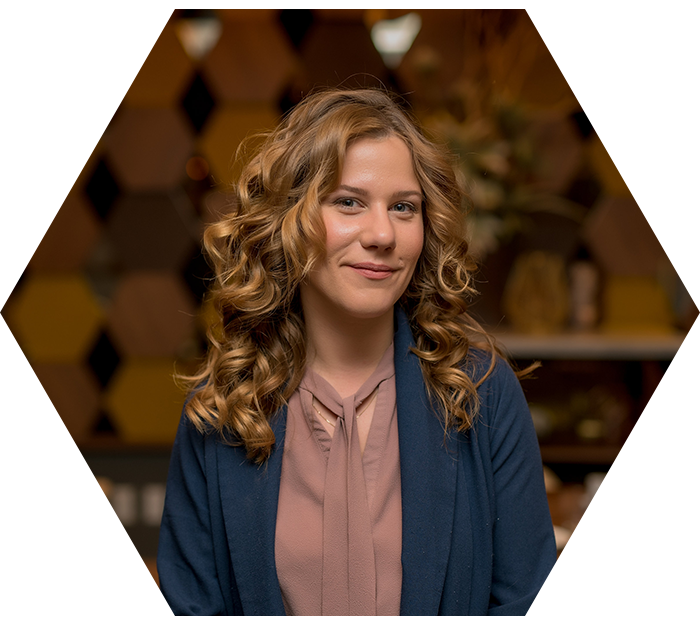 Meet Laura, she considers herself to be not only the GM of Proof but also the official dessert taster of the restaurant. Laura started bartending in University and couldn’t believe that serving food & wine could also pay the bills! She expanded her culinary career while working at Oliver & Bonacini Restaurants for the last 10 years. Laura is happiest being immersed in a team of individuals who are buzzing to try the Chef’s newest creation! She and her husband relocated to Waterloo region 5 years ago to allow their children to grow up in close proximity to green space, farms, and producers. She is the lucky mother of 2 very energetic boys and the wife of her own personal Chef! 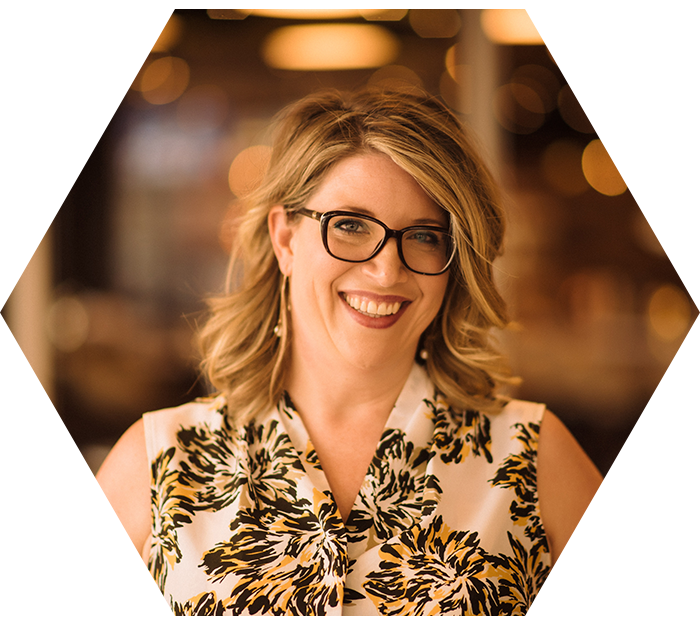 Meghan Lynn Gillis is proud to be one of the original members of the Proof team. An honors graduate of Stratford chef school and a master of the slow and low cooking technique, her favorite food to prepare and devour is braised meat with risotto. Meghan is fond of French wine, French grape varietals grown in Ontario, California wine, Spanish wine, and Ontario craft beer. Meghan chooses to deprive the restaurant of her formidable kitchen talent and works as a front of house manager. 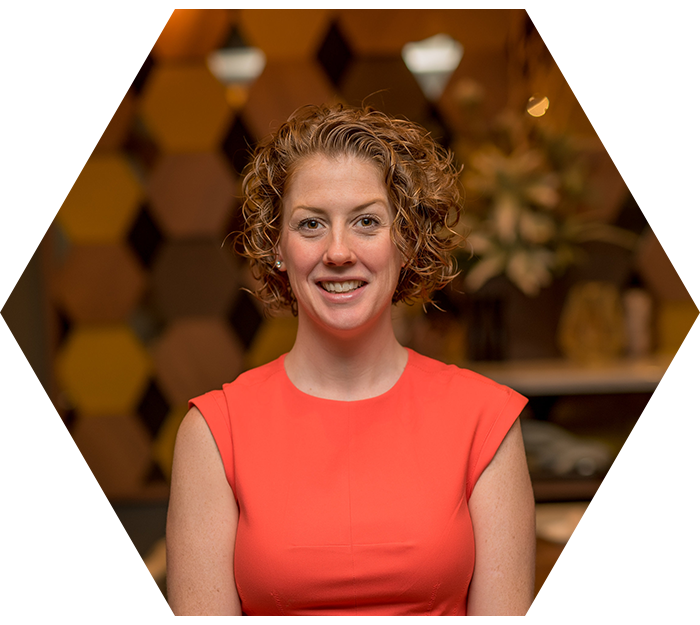 Meghan loves working in hospitality and has a wealth of knowledge to share with the team. As busy and energetic as she is at work, Proof is actually the relaxing part of her day as she is the mother of twin 5-year-olds, their exuberant older sister and a new puppy, Blue. Abbey Jane Rush is the creative mastermind behind Proof’s Libations and Cocktail program! Part Bar Manager, part Alchemist she possesses a power to transform spirits and liquors in a mysterious and impressive way. Abbey had first got the bartending bug while working at Hanna’s Tapas Bar and Lounge then bartended at the Cambridge Mill as lead bartender. 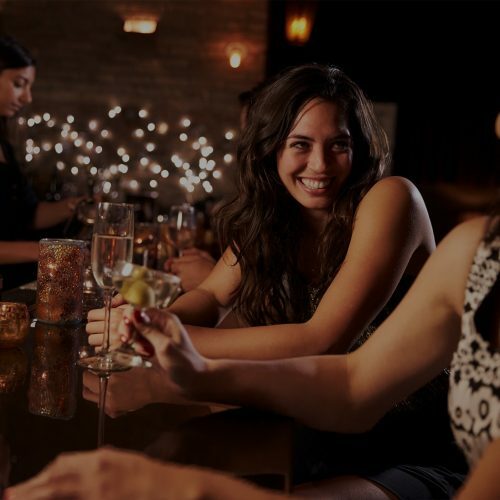 She ended up in Vancouver at Tableau Bar where her desire to further her career in bar management and cocktail crafting was solidified. Abbey joined the Proof Team as an original member while Proof was still in the construction phase. She knew it was the right place for her based on the cocktail program, food philosophy and the values of what hospitality means to her. Passionate about learning, having completed her WSET Level 2 Certification in Wine and Spirits she is making her way through Prudhomme’s Beer Certification currently. When she isn’t mixing cocktails, Abbey loves to spend time with the love of her life and her amazing dog Joplin- who is extremely spoiled! Abbey can quote any episode of Seinfeld with relevance to all topics. 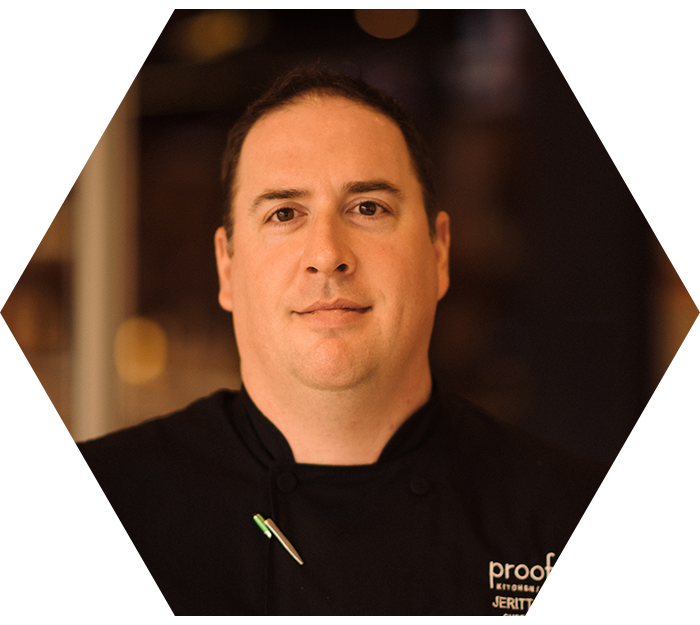 We are happy to introduce our Executive Chef, Jeritt Raney. Chef Jeritt Raney was born in the small town of Tobermory, Ontario. At an early age Jeritt worked alongside his father at the family fishing business. This is where he was shown the importance of fresh ingredients. Over the years his passion for food and the culinary arts grew to a career in hospitality holding various positions such as Executive Chef at The Royal Canadian Military Institute, Cobble Beach Golf Links and Sous Chef for Oliver & Bonacini Restaurants. Chef Jeritt aims to bring his passion and excitement to Proof Kitchen & Lounge, showcasing the local bounty of the Waterloo Region. 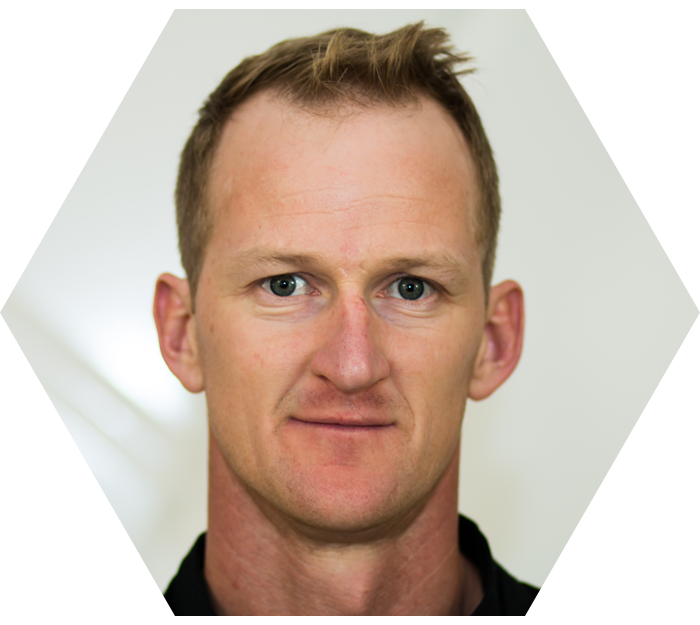 Meet Dem, he started his career dishwashing in Williams Lake BC. 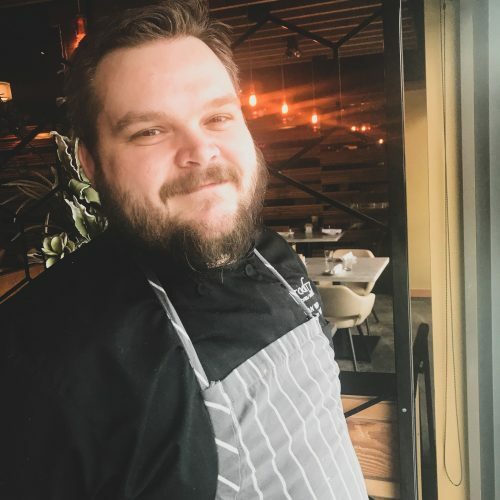 After completing his apprenticeship at Wild Rice Restaurant in Vancouver, he spent the next 12 years climbing the Hotel ladder to Sous Chef, Senior Sous Chef and Executive Chef. Dem wanted to be a part of the Proof project from the moment he heard it was being built. He is looking forward to learning from his talented new colleagues and continuing to grow the Proof brand. Dem loves running in his spare time and spending days with family. He enjoys cooking Indian food, and one day hopes to travel to India! Please allow us 24 hours to get back to you. To make a reservation, you can book online now here or call us directly. For immediate responses, please call us directly.